With a shortage of open water swims in London I signed up for the London version of the Great Swim series. Earlier in the year I had swum in Lake Windermere at the Great North Swim and this was a similar affair but in the big smoke. 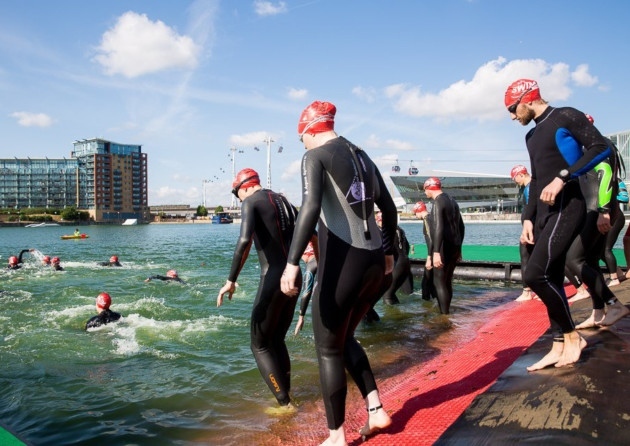 The event is at the Royal Victoria Dock which I’ve swam in as part of the London Triathlon a few times. I swam it in 38:40 – chip time was 39:47 but I used my watch as it took a long time to get in and out of the water so I’m going with that instead. Despite thinking I was pushing it harder than last week at the West Reservoir I was a little bit slower. The main difference I think was that last week I was swimming with swimmers who were mostly better than me and didn’t get in my way. These Great Swims have swimmers of all abilities and very large waves so there was a lot of traffic to deal with.